An EU fishing chief has called for “realism and flexibility” as a “perfect storm” looms large for the industry across Europe. Javier Garat, president of international fishing body Europeche said ongoing challenges of meeting the “ambitious and rigid” objectives of the Common Fisheries Policy (CFP) were exacerbated by the uncertainties around Brexit. Speaking at a conference on the theme “How far has the EU come in ending overfishing?” in Brussels and organised by environmental organization Pew, Mr Garat also highlighted progress in improving the state of fish stocks. This increase was no “mere coincidence or a fortunate accident” but the result of the many efforts made by the fishing industry, he said. It was also achieved through huge sacrifices over many years, he said, highlighting savage quota cuts and big hits in fishing vessels and jobs during the past two decades. “The fishing sector agrees with the European Commission (EC) on the need to achieve the maximum number of stocks at MSY (maximum sustainable yield) levels as soon as possible, but not at any cost and without taking socioeconomic factors into consideration,” he said. But “even NGOs (non-governmental organisations)” knew it was impossible to reach MSY levels for all stocks simultaneously, he added. MSY – the overriding mantra of the EC and its fishing rules – is the largest catch that can be taken from a stock over an indefinite period without harming it. 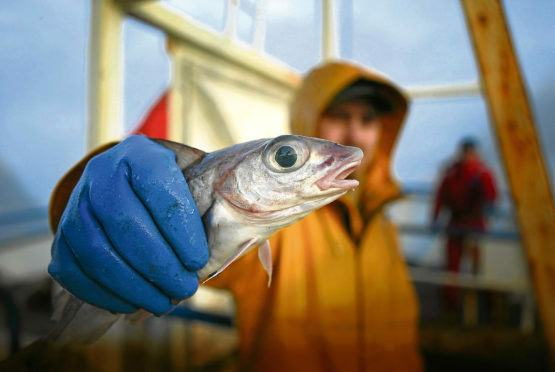 Europeche has called on policymakers to set quotas for every stock “in accordance with the best possible scenario” to guarantee sustainable fishing from an environmental point of view, but without forgetting socioeconomic aspects. Scotland’s leading fishing organisations are no longer part of Europeche, having relinquished their memberships within the past 18 months – citing Brexit as the reason. Responding to Mr Garat’s conference speech, Scottish Fishermen’s Federation chief executive Bertie Armstrong said: “Brexit must mean restoration of control of UK waters by UK authorities and an end to the grossly unfair giveaway of 60% of our stocks. “But … this will not be at the expense of sustainable catching. “The industry, particularly in Scotland, has been a key driver of sustainability.